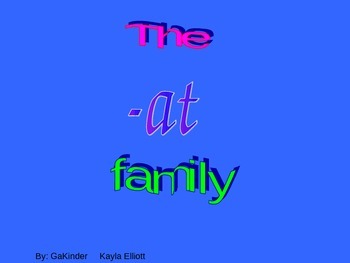 A quick & fun way to review the -at word family. 8 Slides. Each slide begins with the word -at. As you click, a new beginning sound is added. 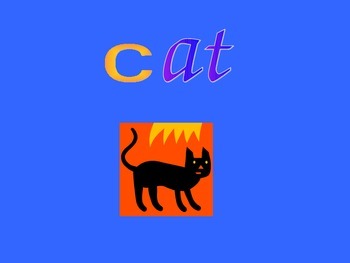 Have your students sound out the word and then click again to show the picture! I am brand new to teacherspayteachers and I am trying to upload new products. Please give a rating!